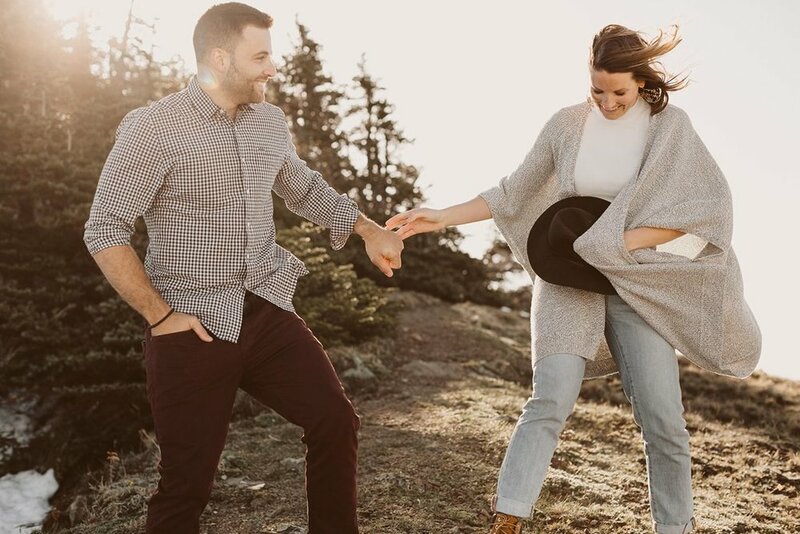 One of my favorite parts about engagement sessions is learning about the couple - how they met, what their first impressions were of one another, when they knew they wanted to spend the rest of their lives with that person. It's the romantic in me that thrives off of these stories and hearing two people low key gush about their person makes me heart insanely happy. In the midst of our spontaneous midnight drive to our camping spot, I asked Lauren and Jesse about the first night they had met - I have been friends with Lauren for years so had heard the story unfold as it happened, but I wanted to hear it again. Once she was done, I asked Jesse to tell his side of the story - He was kinda like "you really want me to tell you the exact same story Lauren just told??" and I was like "YES" because it's NOT the same and I love having my couples hear their partner's first impressions of the night or day they met. So he went on to explain how they met and how once they started talking, AND I QUOTE, "It's like the people around us stopping to existing and it was just us in the room" UM HELLO CRYING. Mind you they were at a wedding so there were at least a hundred other people around them. I dont know, something about being reminded of how your partner first viewed you or when they fell in love with you is such an intimate detail about a relationship but isnt brought up very often. I like to remind my couples of these first giddy feelings esp before engagement sessions. It really is just the sweetest. As I mentioned Lauren has been a dear friend for years and seeing her with her perfect partner is probably more than my little heart can handle. Jesse compliments her in all the right ways, offering a tender sweetness, but respecting her independence and sense of self. 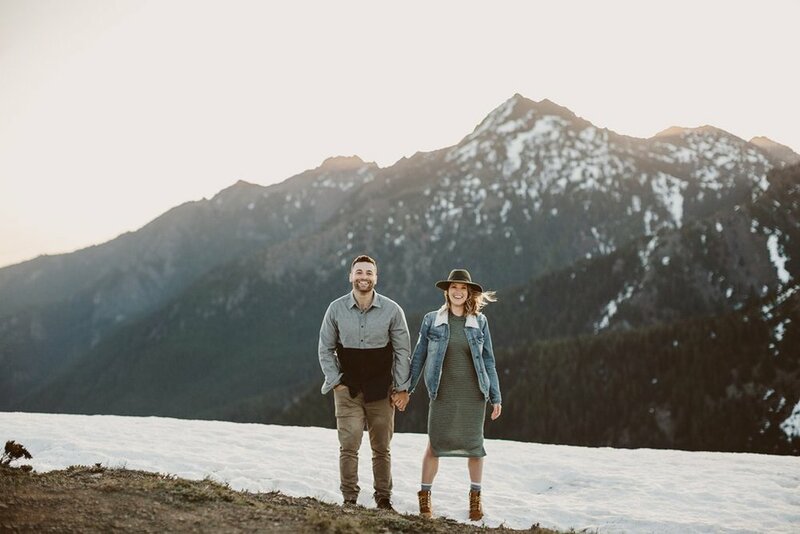 Overall they are perfect for each other and I LOVED our spontaneous camping, sunrise session in one of the most beautiful places in Washington. Can't wait for their 2019 wedding! !